The last kid in line tagged the window. …because that’s what brown kids do. Geez. well what do you expect, monkeys will be monkeys. That is truly terrifying. It looks perilously like a zombie attack. Annnnd that’s why you have blinds. Sneak to the side, grab the string and lower them allllll the way. 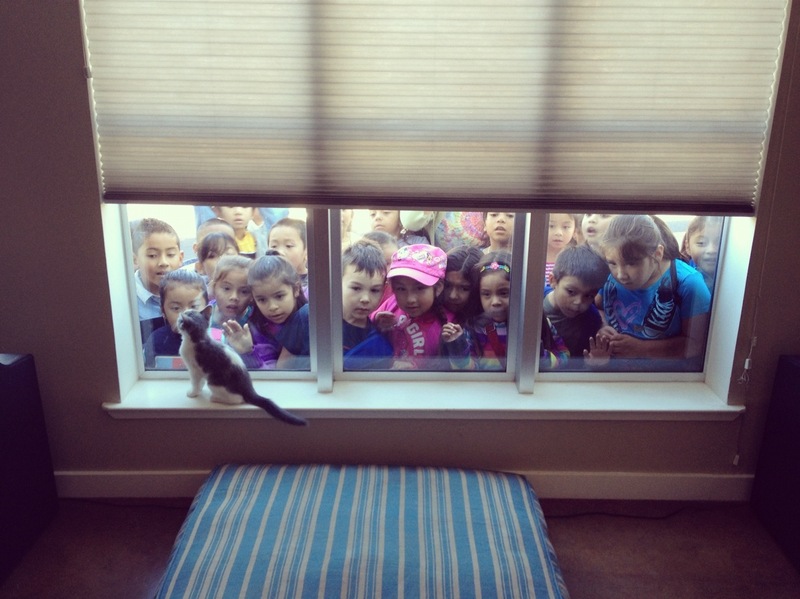 Cute kitten or not, that many children peering in is creepy. This is the most important post on Mission Mission this year. I also notices that very few appear to be looking at the kitten. So what was going on that we couldn’t see?